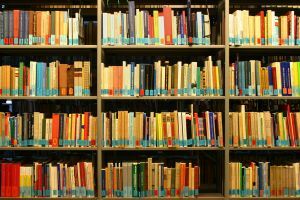 At the heart of the issue is a seemingly simple question: Do libraries increase book sales or cannibalize them? Publishers, trying to come to terms with the rise of ebooks, the ever growing power of Amazon and the decline of bookstores are, as everybody knows, facing what can only be called uncertain times. And now there’s an additional worry — will library ebooks hurt their sales? On the other side though, the issue for libraries is simple: “They believe that withholding ebooks from libraries entirely, pricing them higher or limiting lends all undermine the library’s core mission.” Robin Nesbit of the Columbus, Ohio Metropolitan Library system reported that while her ebook circulation of 500,000 annual lends is only 3% of the system’s total, that number is growing by more than 200% a year. “Plus, it’s at least 10% of our budget,” she told Forbes. And as she pointed out, when you total up the cost of ebooks and the technology component, providing access to ebooks is three times as expensive for her as physical books. In fact, of the six major publishers, four (Penguin, Hachette, Macmillan, Simon & Schuster) are not currently providing ebooks to libraries at any price. The other two — Random House and HarperCollins — do, but with differing strategies. This year, Random House adjusted its ebook pricing: the prices on some books were lowered, but the most popular titles increased in price, often by surprising amounts. Justin Cronin’s The Twelve, which sold in its print edition to Douglas County Libraries $15.51 from Baker & Taylor and whose ebook edition sold for $9.99 on Amazon, was priced at $85 to Douglas County on October 31st. To read the entire article and David Vinjamuri’s possible solution, click here.